Blu-ray copy software has become a quite hot item since more and more people are turning to back up their Blu-ray collections for avoiding the disc damage, scratch and loss. Some even hope to make digital or disc copies of their Blu-ray collections so as to share the wonderful movies with friends, family members and more. 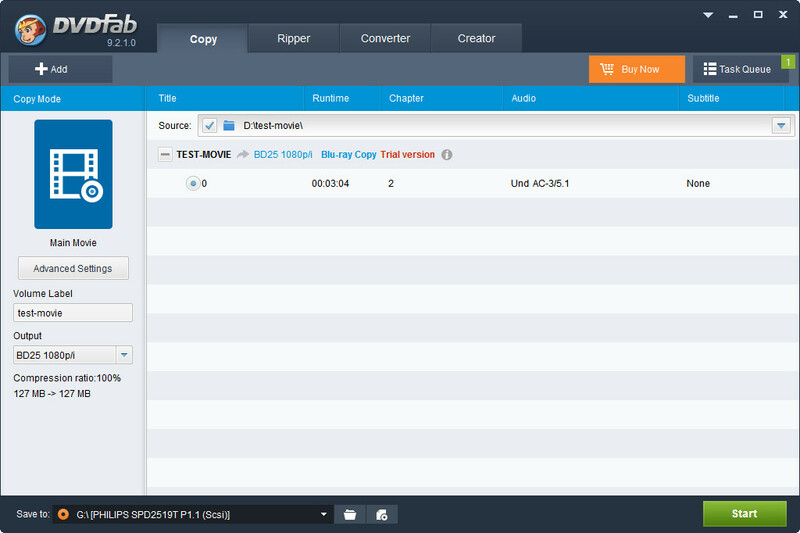 Now talking about the best Blu-ray copy software to make Blu-ray backups, I bet many people now get stuck in choosing the Leawo Blu-ray Copy or the DVDFab Blu-ray Copy software, since two of them are currently the top-rated Blu-ray backup software on the market. So to help you make a wise choice, today I did a deep review and comparison between the two backup tools. You can check out the differences and then choose the favorite to create high quality Blu-ray backups. 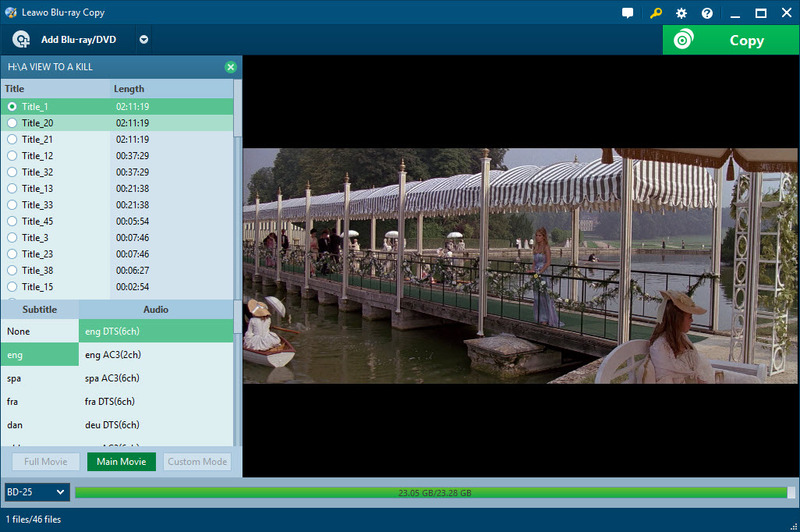 Leawo Blu-ray Copy: Personally, I hate those software coming with disorderly and complex UI. 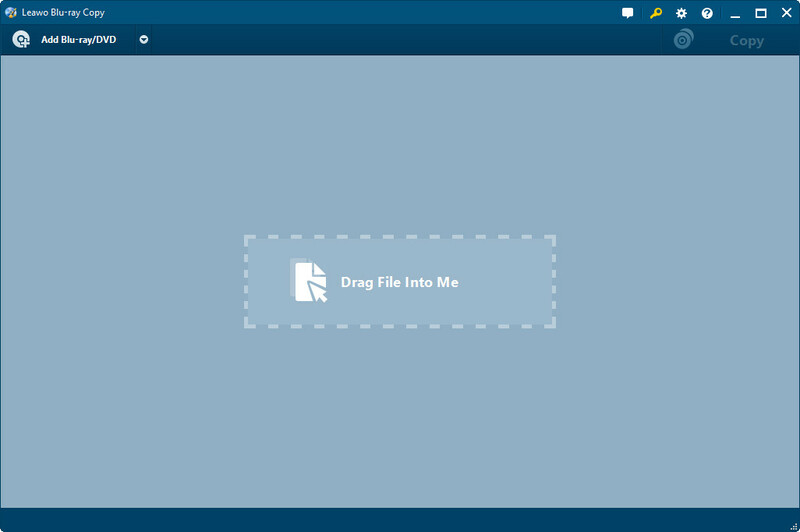 But when I install and run Leawo Blu-ray Copy on my computer, its neat and step-by-step layout left me a good impression. No program settings difficult to access or buried deep inside it. Newbies only need 30 seconds to know how the program works. To express its simplicity, I have captured a screenshot of Leawo Blu-ray Copy for your reference. DVDFab Blu-ray Copy: DVDFab 9 comes bundled with a series of DVDFab programs and you have to choose Blu-ray Copy from the list. After selection, you will find it is in four classifications: Copy, Ripper, Converter and Creator. 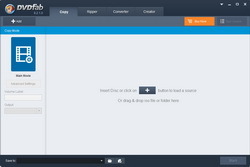 The UI of DVDFab is in light blue but the size is extremely large – almost covering the whole computer screen. The main and common functions are shown obviously while others are hidden for advanced users. 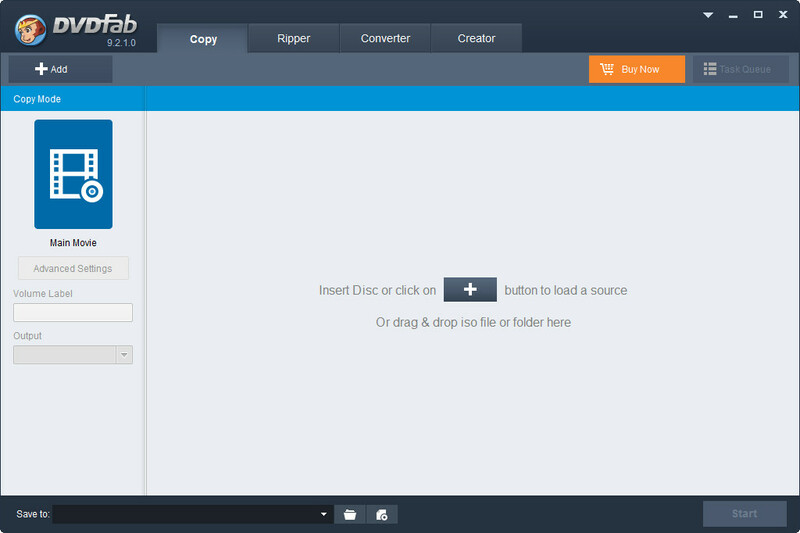 DVDFab keeps everything simple so that even newbies could copy Blu-ray in just a few clicks of their mouse. To see below screenshot to know how simple and neat interface the program has. When you’re spending money to protect the Blu-ray discs you own, it’s important to find the feature-rich software. So now let us see the features packed on Leawo Blu-ray Copy and DVDFab Blu-ray Copy respectively. 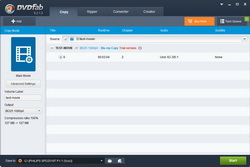 Leawo Blu-ray Copy and DVDFab Blu-ray Copy support different input and output formats of Blu-ray/DVD files. With the absence of disc protection removal technology, DVDFab Blu-ray Copy obviously supports less disc types to copy. Leawo Blu-ray Copy: I have done a test with Leawo Blu-ray Copy. 3 out of 4 Blu-ray movies are backed up successfully. A good Blu-ray copy software needs to be able to back up 90% Blu-ray movies successfully and smoothly. 100% is asking too much because there are so many new copy protections needing to keep up with. When it comes to the copied video and audio quality, to be honest, as the first time I made use of Leawo Blu-ray Copy, I was very concerned with the output quality. However, the final result was quite amazing. The lossless quality is ensured when doing the disc to disc copy. The copied file looks as good as the original. When doing the compression copy, only a minor difference in quality could be seen in the video. DVDFab Blu-ray Copy: Actually DVDFab Blu-ray Copy retains the same 1080p HD quality found on the original. it also endows you the ability to choose the output setting when you copy the Blu-Ray, ensuring that you are in control of the video quality. You can also choose to copy the Audio stream thus retaining true HD sound too. Speed is quite important when it comes to backup Blu-ray, since you have to use nearly all of your system resources to do the Blu-ray copy. Talking about Leawo Blu-ray Copy, just compared with other Blu-ray copy software I tried, Leawo Blu-ray copy is the optimal one when it comes to the copy speed. The program supports multi-core CPUs and NVIDIA CUDA technology, ensuring extremely fast backup speed. BTW, the stability of Leawo Blu-ray Copy is also excellent. I have no problems with the program crashing or shutting down for random unknown reasons. As to DVDFab Blu-ray Copy, the program has high-end technologies for acceleration. It supports multi-core CPUs, NVIDIA CUDA technology, and homebrew Lightning-Recoding. However, it is still not fast enough. According to my test, it takes about the whole 1-3 minutes for DVDFab to just recognize the Blu-ray at the very beginning. The source file loading speed is a bit slower than Leawo Blu-ray Copy. Also, just based on the test by TopTenReviews, only 103 minutes will be taken for Leawo Blu-ray Copy completing the whole copy, while DVDFab Blu-ray Copy will take 396 minutes to finish the Blu-ray copy process. Well, that’s my review and comparison between Leawo Blu-ray Copy and DVDFab Blu-ray Copy. Just choose your favorite and create high quality Blu-ray backups.